Aceasta interfata este Originala Carly, Generatia 2 cu adaptor Bluetooth utilizabila pe decive-urile Android (Samsung, LG etc). The pro version of the app is not part of this offer. 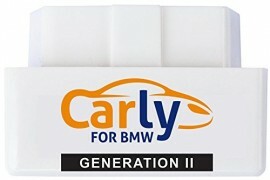 However, a free evaluation of diagnosis with the Carly for BMW Lite app is included when you purchase the adapter. 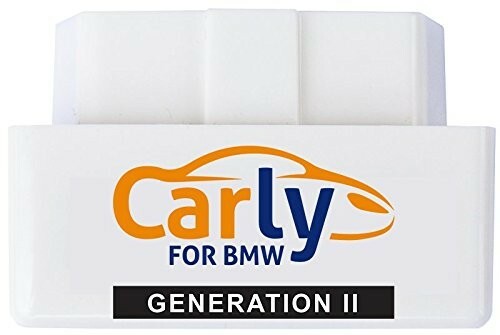 The free Carly for BMW Lite application is available in the App Store from Google. This adapter can be updated. As soon as adapter-updates for new app functions are available, the adapter will be updated directly in the app. With a cable connection only a part of the installed ECUs can be diagnosed. For complete diagnostics of an X3 (E83) it is therefore necessary to use an OBD cable as well as a Bluetooth adapter. Coding of these models is only possible via cable. Parameters, engine and transmission diagnostics use bluetooth in most cases, while the other ECUs use the cable. This adapter is the same as the Generation 2 Mercedes Android adapter. Pentru alte detalii consultati departamentul de suport tehnic.